Former drummer of Alt-rock band The Neighbourhood, Bryan Sammis has one hell of a CV, with Billboard-topping singles and even a performance on Jimmy Kimmel Live. 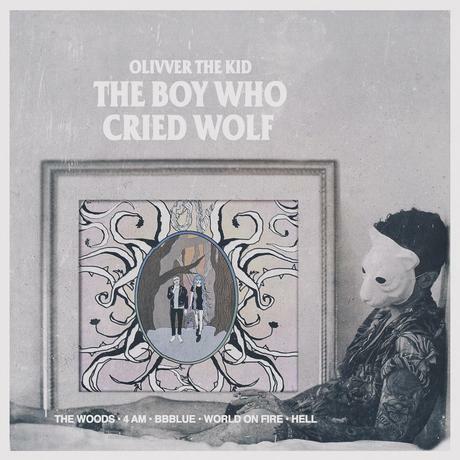 But since leaving the band, he's chosen to go solo as Olivver The Kid and release 2 EPs, the most recent of which being The Boy Who Cried Wolf. This EP (just like the last one) consists of five songs, with all of them being linked and them all succeeding each other, telling a story and maybe even creating a new chapter in The Boy Who Cried Wolf. They're in the Pop genre, guiding himself away from the Alt-Rock of his previous endeavours. I wouldn't be surprised if I heard some of his songs on the radio and more people heard his music, because he certainly deserves it. You can follow Olivver The Kid on Twitter, like his page on Facebook and follow him on Instagram to see what he's up to. Don't forget to follow me on Twitter, Instagram and Bloglovin' to keep up with what I'm posting next, as soon as it's posted.